It's just so depressing that they screwed up this new trilogy so badly. I could understand one bad movie out of the bunch, but when 2/3 of the movies we've seen have been UTTER TRASH, it's hard to be excited for a third one. Maybe if they had listened to fans earlier they could have salvaged it. 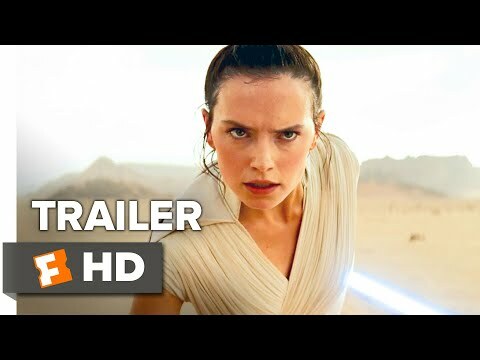 Looks like Rey and Kylo go back to Tatooine where the story first began. The story is going full circle. The laugh at the end is Jews. The laugh at the end sounds like Jontron wtf? all i'm saying, is there BETTER be what's left of the New Republic fleet in this. I wanna see Starhawk Battleships, dammit! So Palpatine will appear as a ghost in the final scene with Dooku and Snoke while a bunch of Porgs dance around a camp fire? Wow, to bad I could not give a crap less about Kilo Ren and Rai.. You know, the main characters. So... Are Lando or Leia gonna die in this one? why is there palpatine in star wars IX he died in return of the jedi, when will these producers realize that when a character dies, their dead!!!! !